If you are looking to improve the menu of your WordPress website you have to read this review of the top 9 Mega Menu WordPress free plugins. With these plugins you can take advantage of a mega menu without spending any money, these free plugins allow you to create mega menus that will boost the UX of any website while giving it a more professional and sophisticated appearance. Of course, if you need more control over the mega menu and you want to take advantage of all the potential that a plugin of this type can give you, then you should think about investing a few dollars. It is a good investment that is worth doing. But if you’ve already decided that you are not going to spend money on a plugin, here we introduce you the best free plugins to create a mega menu in your WP. With a high-quality final result and an efficient operation, WP Mega Menu is among the TOP 3 free mega menu plugins. This is one of the most complete free plugins, with many customization options and different configurations available. Everything can be controlled from an intuitive and practical user interface. Thought for the average user, this plugin makes things much easier when creating a mega menu. WP Mega Menu is 100% responsive and works well with a lot of themes. This free version of Max Mega Menu has certain limitations if we compare it with its paid version. In both cases, you can achieve very good results in creating a mega menu with good design and functionality. Some of the options available only in the paid version are the sticky menu, logo on the menu, search box, Woocommerce integration, Google fonts and vertical menus. Yet with the possibilities offered for free, it’s more than enough for the average user. You can do many things and meet the needs of each case. Another very complete plugin with tons of options that helps to create a professional and well designed mega menu. AP Mega Menu allows the creation of horizontal or vertical menus, something that not all free plugins offer. It also comes with 8 pre available skins or custom template designs. It’s completely responsive and optimized for touch screens. With this plugin, you can achieve spectacular results by dedicating some time and work. It integrates perfectly in all the themes that meet the requirements. In case of any incompatibility problem, there’s a complete documentation available. Support is also offered for this version. Free AP Mega Menu contact info widget added. This is the most powerful free WordPress mega menu plugin with which you can do almost anything with the WP menu. It’s a highly customizable plugin and offers a variety of configurations to change the behavior of the menu. How could it be otherwise, it’s 100% responsive and optimized for touch screens, but that’s not all. It’s programmed under the concept known as the first mobile, which means that the plugin has been created for mobile devices and then adapted to desktop computers and notebooks. Something very convenient for these days. A very complete plugin compared to the other plugins, it doesn’t store its valuable stuff for the PRO version. 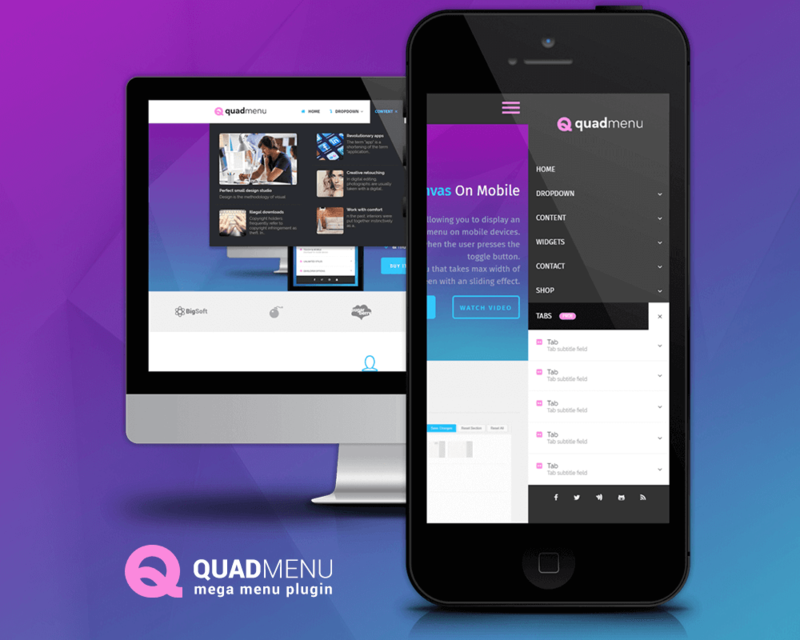 The free version of QuadMenu includes social elements, shopping cart Woocommerce, sticky menu and some more options that are absent in other free plugins. A highly recommended choice if you want to have a high-quality mega menu without paying a penny and plugin with an extensive documentation. To exploit the full potential of this incredible plugin, it is convenient to go for the paid version that you can purchase from here today at 50% off! 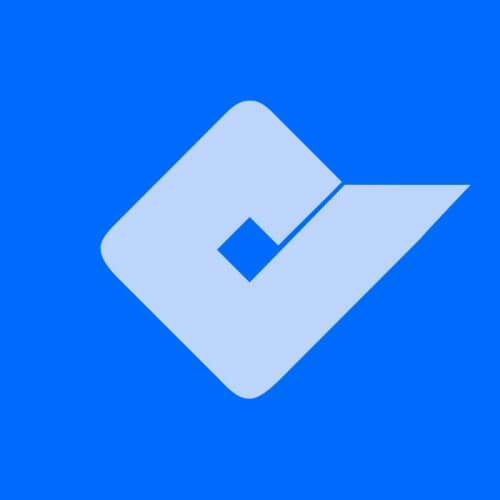 A highly customizable plugin, designed to work optimally on mobile devices. With this plugin, it’s possible to create attractive mega menus, although with some limitations that differentiate it from the paid version. You can decide the screen size in which the menu changes to responsive. And some other nice customization options to be applied when accessing form smartphones. A pretty simple plugin, but very efficient that fulfills its goal more than satisfactorily. As the name implies, WP responsive Menu’s target is to provide a high-quality WP menu responsive design. It works wonders on any mobile device. And it’s very easy to optimize any menu for these devices, including the most complex mega menus. Search box inside the menu. Another mega menu plugin designed to provide a superior UX from mobile devices. This version has quite limited personalization options, but still good results can be achieved. It allows to incorporate a logo in the menu, add social profiles and search box in the menu. Also have some other customization options such as changing colors, font size, height and menu edges. This plugin works in a different way from the rest. It’s a plugin that has managed to simplify things a lot when creating a mega menu. It’s a plugin that allows you to insert all kinds of widgets within the menu. Either WP native widgets or any other widget created by any other plugin. By adding widgets in rows it’s possible to create a large mega menu with any type of content within the tabs. You can use absolutely any type of widget. Its main difference from the rest that can be very useful in some cases. An ideal plugin to create a mega menu in a fast and easy way. Easy Mega, also called Mega Menu plugin for WordPress is a plugin with which you can do many things. Although if we compare it with other plugins it may have some limitations in customization or configuration options. It’s an efficient plugin and easy to use. It’s easy to access all controls thanks to its well-organized user interface. A very good option for those who aim to a simple mega menu without too many functions. In these cases is a highly recommended plugin. But to gain full control over every aspect of the menu, you’ll have to go for the paid version. A wide variety of mega menu creators are available for free in the WP plugin repository. Each one with its own distinctive features and approaches to improve the native menu system. All these plugins are well programmed and updated. They have a team of professionals behind who are working every day to improve and will fix any possible issue. Now that you know them all, ¿what is your choice?